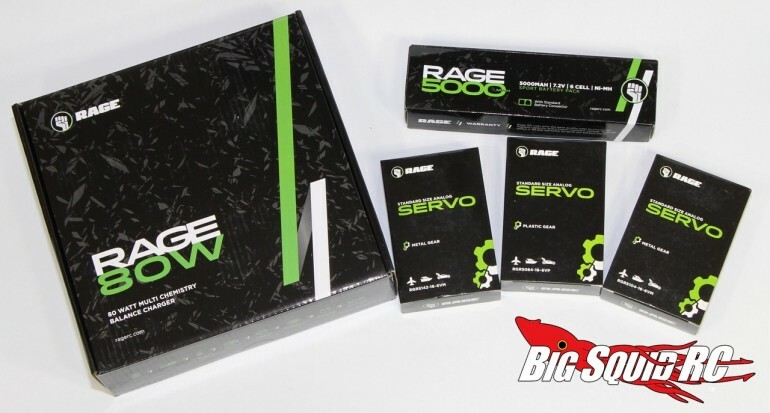 Unboxing – Rage RC Products « Big Squid RC – RC Car and Truck News, Reviews, Videos, and More! 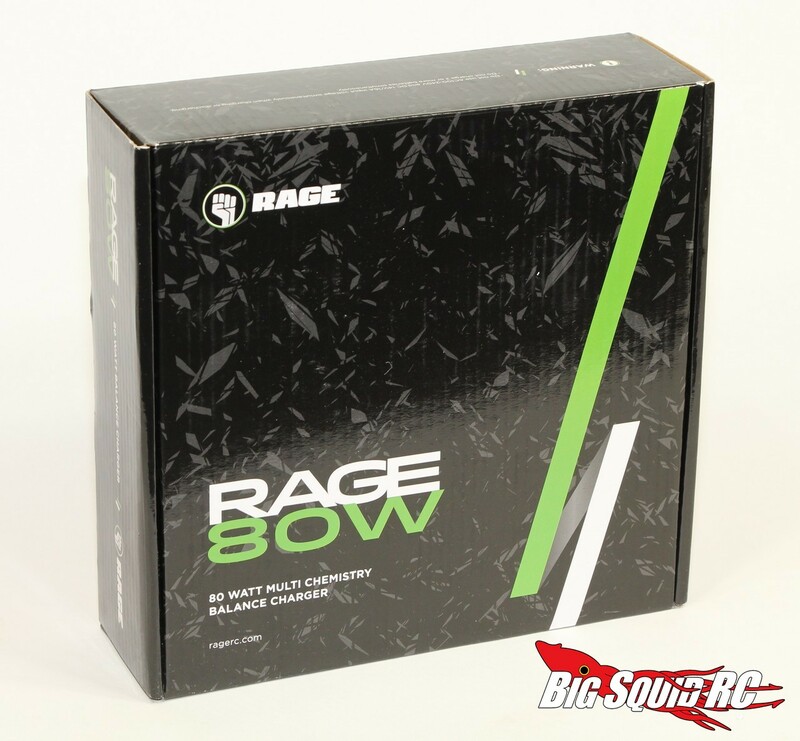 There is a new company on the rc landscape called Rage RC. 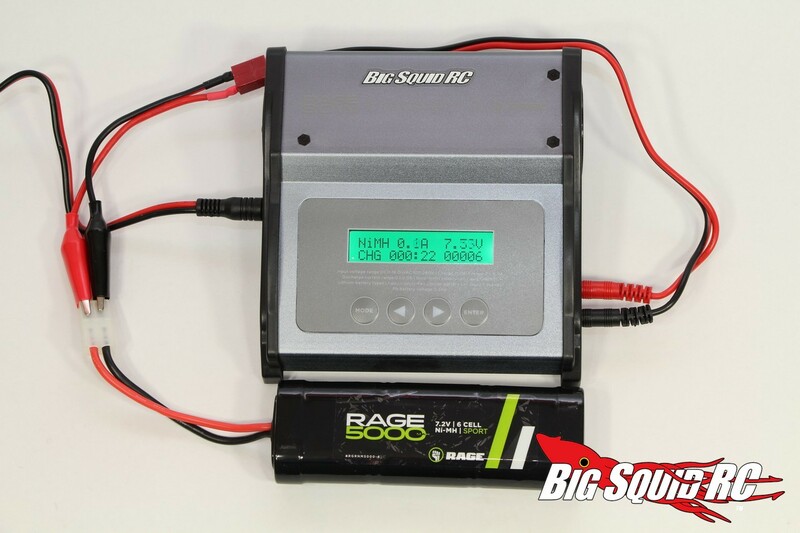 The Rage line-up is brought to you by the folks over at HRP (Hobby & Recreation Products) and is focused on new hobbyists and people on a budget. We recently received several of their products for review so we took some pictures while we unboxed them to give you a close up look. 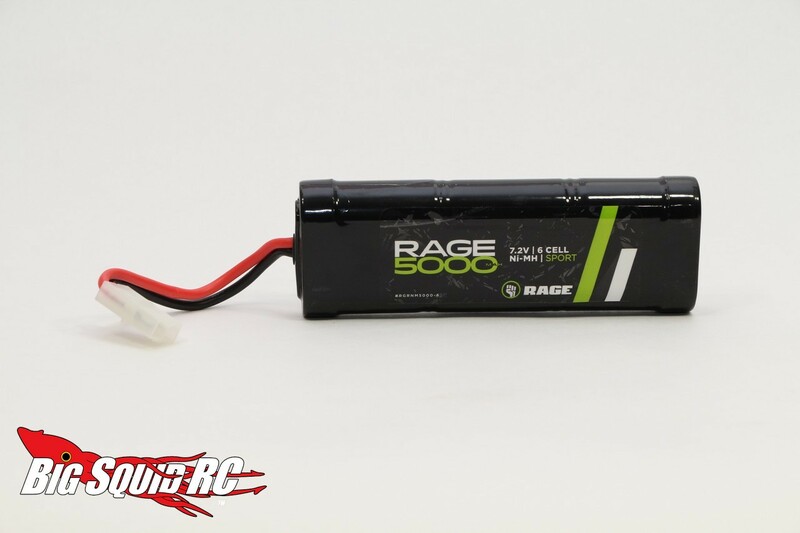 The Rage RC line-up consists of battery chargers, batteries, accessories, and servos. 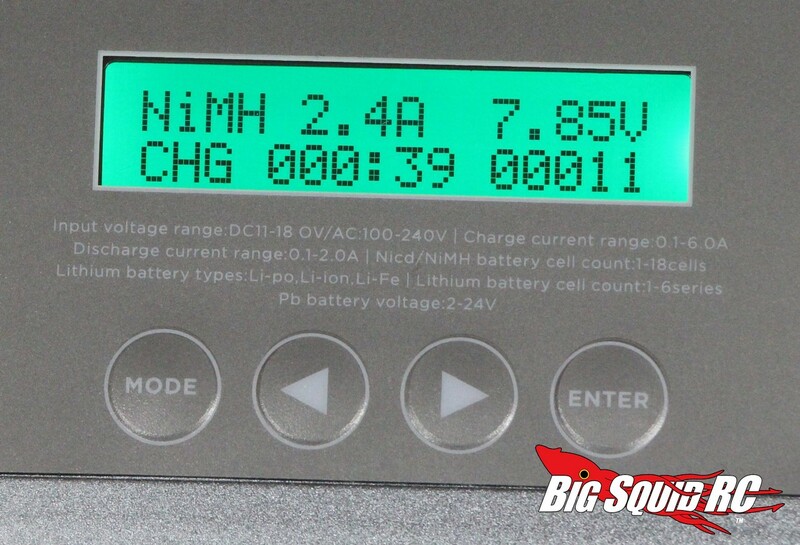 In the first gallery below you can see the Rage 80 watt AC/DC charger. It can charge all the common cells that we use in rc and has a part number of #RGRC80W-ACDC. It is street price at just $52. We also received several of their new servos. 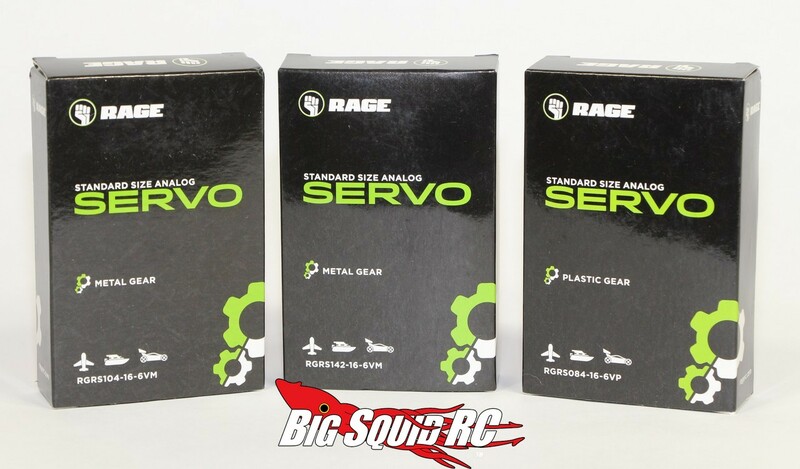 The servo highlighted in the second gallery has a part number of #RGRS104-16-6VM. This is a metal gear servo rated at 104 oz of torque at a speed of .16 (both rated at 6 volts). Its most spectacular feature has to be its price, only $12. Btw, they also have a 142 oz at .16 model for the same price! 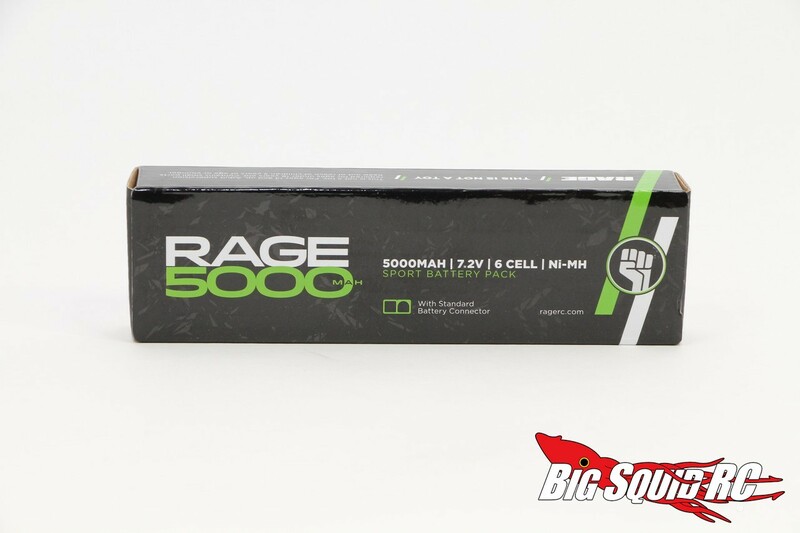 For batteries we received their 5000mAh 6 cell NiMH. You can see it in the second gallery, it has a street price of $29 and a part number of #RGRNM5000-6. 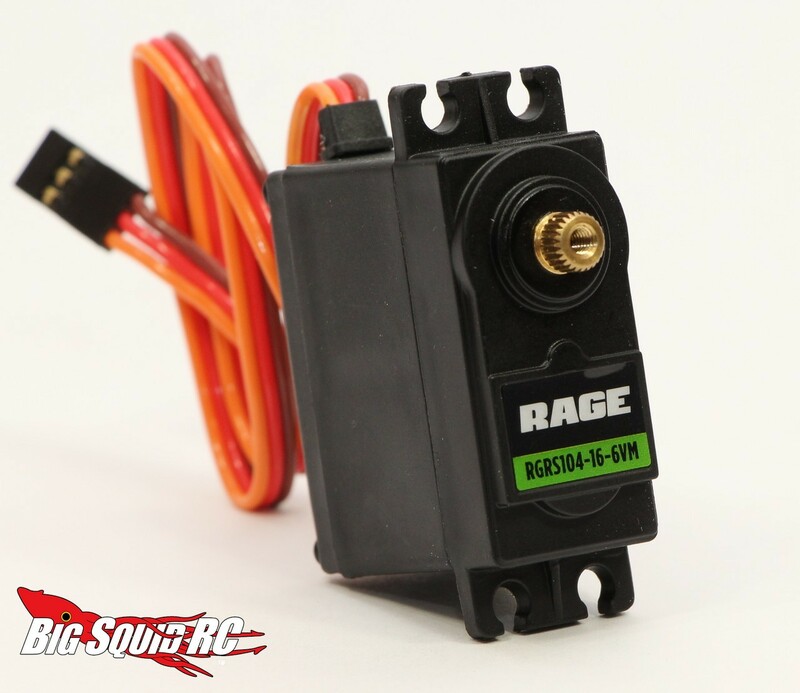 You’ll have to wait a few weeks for our reviews, until then you can hit up This Link to check out all the products in Rage RC’s line. Check out more Product Unboxings here on BigSquidRC.